Even if you apply generously and even if you re-apply frequently, the sun will still penetrate and harm your skin. Help protect your skin against sun damage and the effects of aging from the inside out. SPF Boost is dermatologist-developed and contains a natural, plant-based and clinically tested antioxidant, to help stop free radical damage and promote skin resilience. Your daily dose of Vitamin D just got more powerful. If you take Vitamin D to supplement your skin health, you should take SPF Boost. Together, they may help reduce wrinkles, aging and sun damage in you skin. Your daily skin regimen just got a boost from science. Moisture, exfoliate and sunscreen? SPF Boost will fit right in. With a clinically-proven active ingredient, SPF Boost is an essential layer of protection for your skin - not another skincare fad. Whether you include SPF Boost in your morning routine or throw it in your purse for a day at the beach, take confidence in knowing that you are giving your skin the best care. And because it works from the inside out, it won’t get washed away with sweat or a swim. Made with love - and leaves. 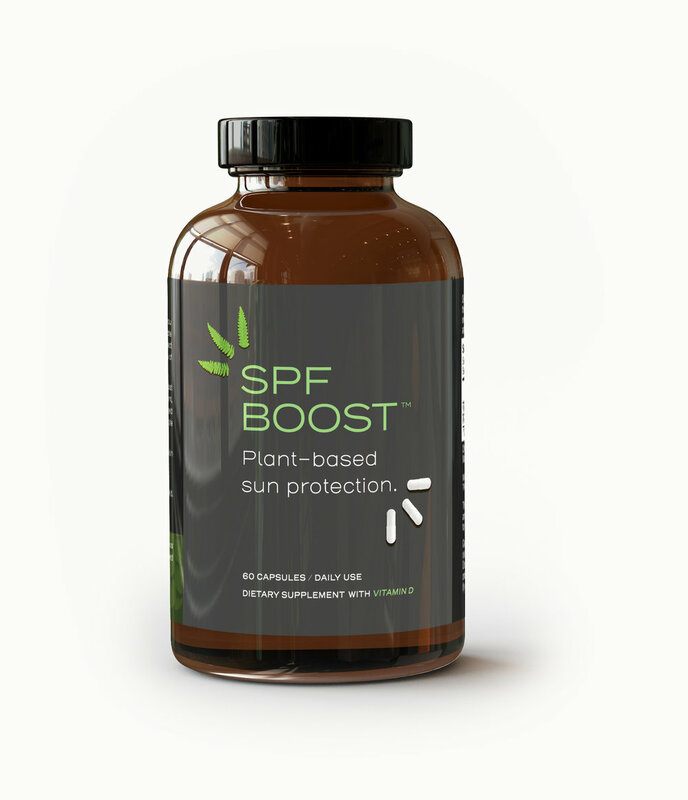 SPF Boost is powered by polypodium leucotomos extract, an antioxidant-rich compound derived from a fern native to South America and confirmed by dermatologists to help bolster skin health. SPF Boost is developed by Dr. Nava Greenfield, a dermatologist and mother of three in Brooklyn.